I’ve spent the past twelve months traversing the country giving speeches focused on the theme of Deescalating the Energy Wars. Not everyone loves to stand up in front of crowds, but I do. It gives me energy, makes me a more thoughtful person, and challenges my assumptions. My audiences are often made up of energy industry employees, and whether they are from exploration and production (E&P), midstream, or utility companies, they have common questions and comments. Their interest gives me the energy to continue my passion for teaching about energy policy and politics. Here are a few things I’ve learned from my audiences this year. We are exhausted by the anti-fossil fuel rhetoric. In the last 24 hours, I’ve read articles in the Wall Street Journal, Scientific American, and Denver Post where oil and gas companies have been cast as the villain. Strangely, the presumption of guilt often lacks context or credibility. For those of us working in the oil and gas industry, this narrative carries over into personal conversations and ultimately results in a feeling of living under siege. Many people are feeling exhausted, combative, or both. We want to feel a shared pride in our work. There was a time when providing domestic, affordable, reliable energy was appreciated! Although those days may never return, many of my audience members are hungry to rediscover a sense of authentic pride in the work they do and the company they work for. This requires stepping back and articulating the importance of energy access, affordability, and reliability. We must understand where the work we do fits into the quality of life as we know it and the potential to raise people out of poverty around the world. This conversation is important and worth having. Opposition is becoming increasingly commonplace. Unfortunately even the most in-demand energy projects (like those bringing natural gas to the eastern US to lower their energy prices) are likely to face opposition in one form or another. This brings us back to Point 1 above. While most energy employees’ first response is either fight or flight, we must navigate the rough waters of engaging in conflict instead. It’s important to recognize that opposition may always be there, and may not have to play by the same rules that we do, but there are things we can do. Engaging in the conversation about energy and the environment is critical to changing the nature of that conversation. Investor-driven activism is confusing and making us anxious. These shareholder initiatives, campus divest-from-fossil-fuel rallies, and calls for green investing create an uncertain environment for employees. While there are many limitations to what realistically can be accomplished by these efforts, they further the culture of hostility (see Point 1 above, again). It’s important to explain the who, where, why, and what of these efforts to empower employees to engage constructively in conversations about energy. We are curious: who is the anti-fossil fuel movement anyway? Climate change and fossil fuels have become completely obfuscated in the public dialogue. It’s useful to lay out who the various actors are in the anti-fossil fuel movement and clarify their various objectives and tactics. It is possible to discuss climate change, energy, and the environment positively and constructively, but to do so, we need to know enough to not contribute to the polarization and misinformation. Based on what I’ve learned, I’m in the process of revamping my talks. Chime in with your thoughts and let’s continue this mutual education! Due to demands on my time, I’m limiting myself to two speaking engagements per month going forward. If you’d like to know more, check out my shameless promotional video or request more information. 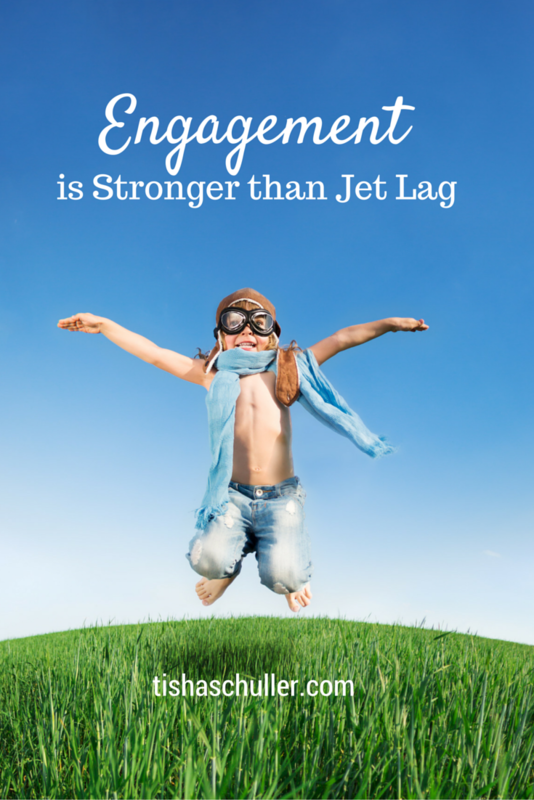 Happy engaging! I read your post and really loved it. Thank you for sharing your beautiful experience here with us. Stay blessed. Great post.